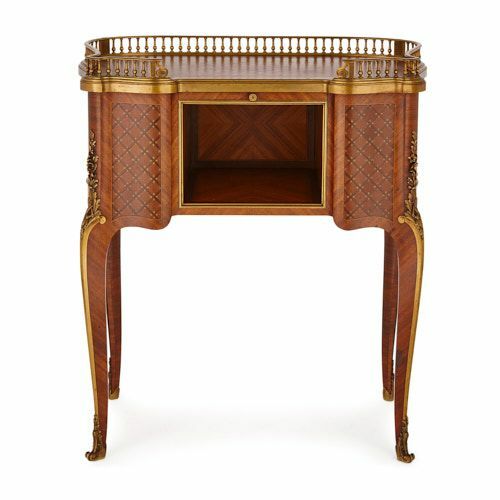 In its style and execution, this fine Louis XV style parquetry cabinet is a prime example of Paul Sormani’s ‘meubles de luxe’ (luxury furniture). 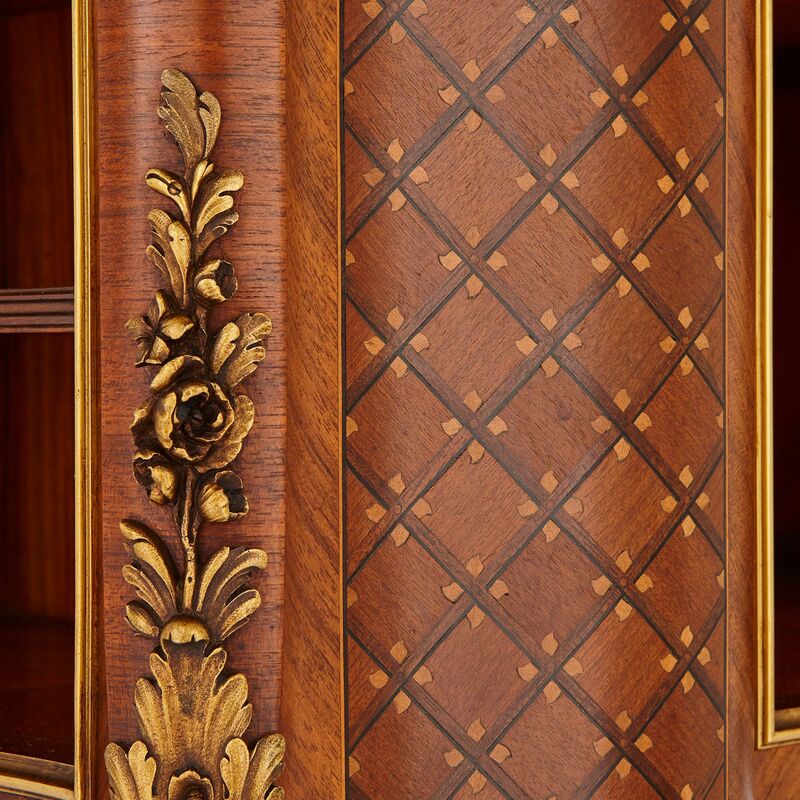 The cabinet stands on four cabriole legs, mounted on their tops with floral ormolu forms, which continue down the edges of the legs and terminate in scrolling sabots. Above, the body of the cabinet is rectangular in form, with shaped edges. It features a central open compartment on its front, and two open drawers on each of its sides. These compartments are set within simple ormolu frames. 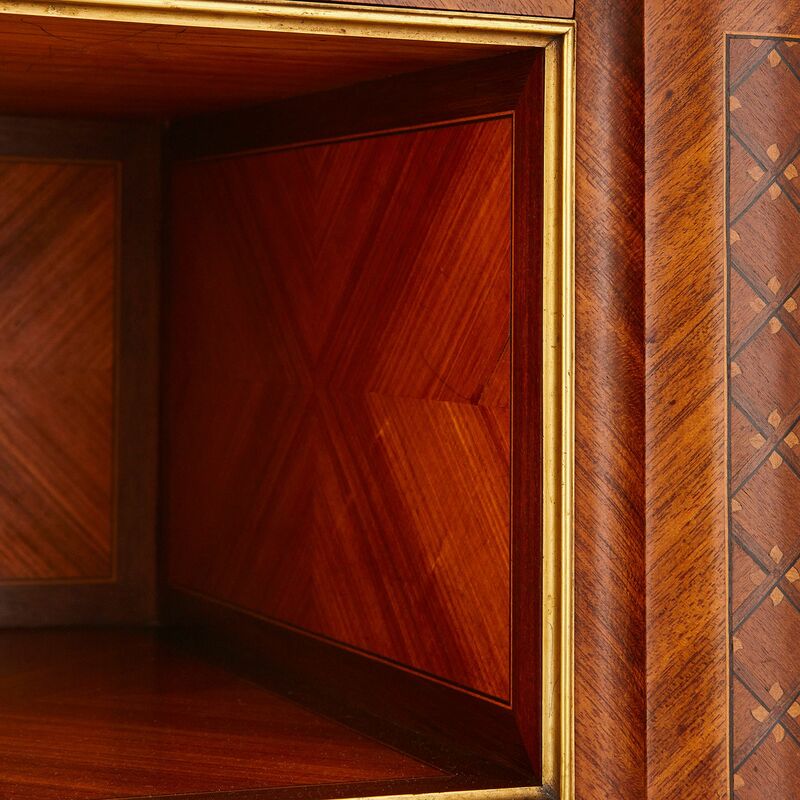 Rectangular diamond-pattern parquetry panels, inlaid with a variety of precious woods, decorate the space either side of the front open compartment. 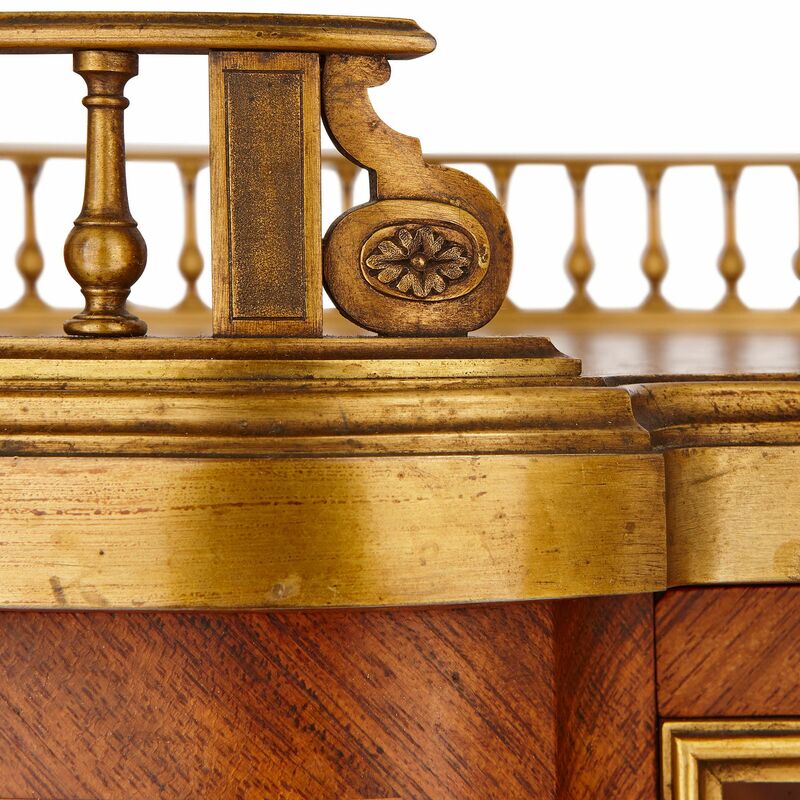 Directly above the front compartment, there is an ormolu knob, which can be used to pull out a leather-topped writing desk. 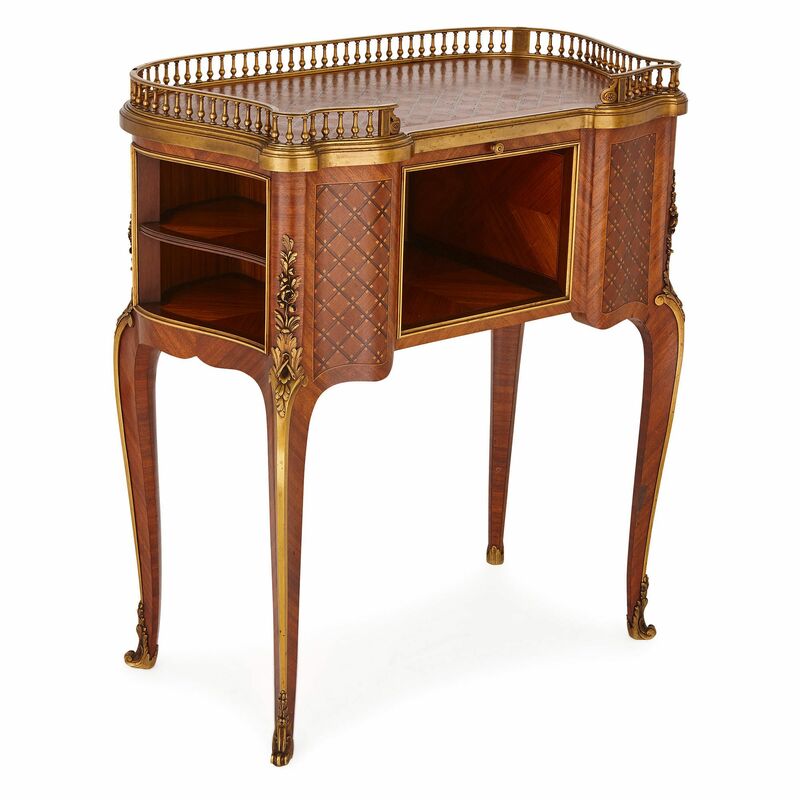 The cabinet body is topped by an ormolu pierced gallery, set on a stepped ormolu base. 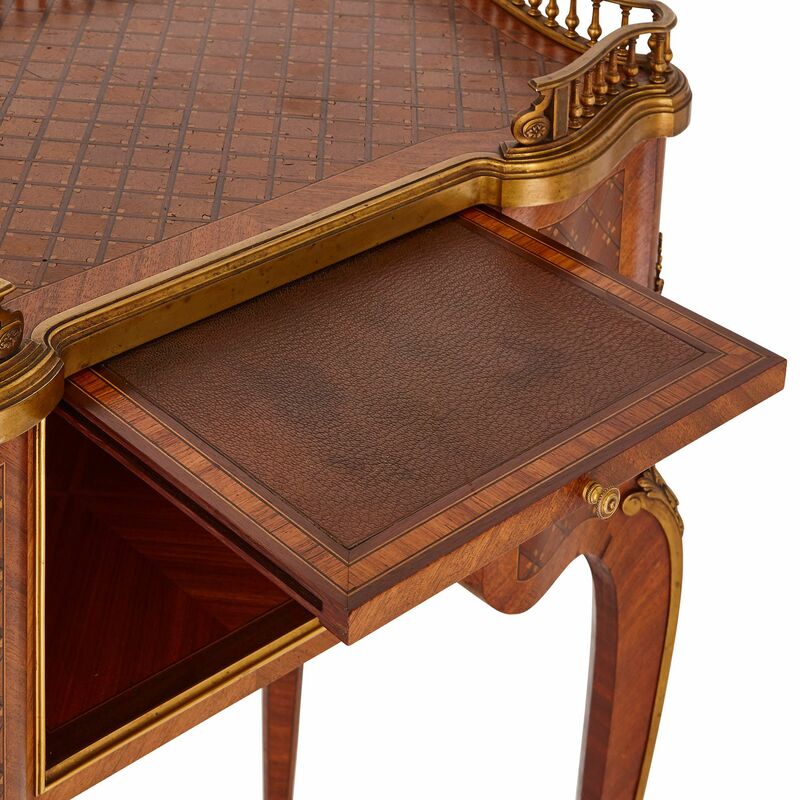 This encloses the cabinet top, which is decorated with a diamond-pattern parquetry design. The cabinet is signed with the maker’s name, ‘Sormani, Paris’. Paul Sormani was a famous 19th Century cabinetmaker, born in the Kingdom of Lombardy, Venice. 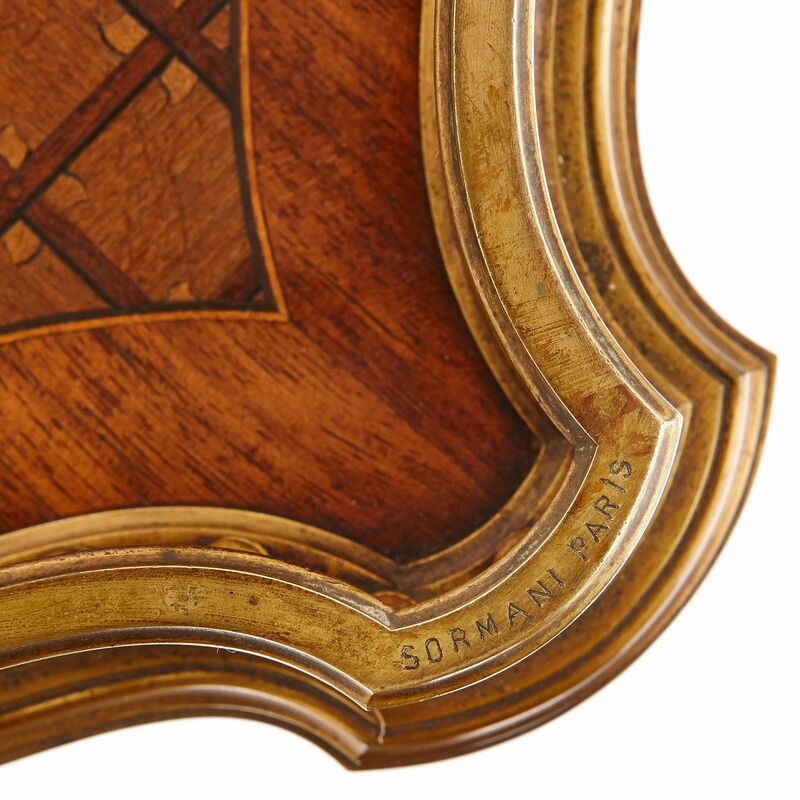 Sormani was based in Paris, where he specialised in the production of Louis XV and XVI furniture. Sormani regularly exhibited his work, and won multiple awards at International Exhibitions held in Paris in the 1860s and 70s.